IAACE™ is a non-profit organization that seeks to enhance Integrative Alternative Health Practices and Professions, the interests of individuals engaged in Integrative Health Practices, and the public interest. The information on this page provides an Overview for ACE Students, ACE Practitioners and other Alternative Practitioners to learn about the Association and its benefits. ACE Students: Membership is FREE to all ACE Students and Certified ACE Practitioners. IAACE recognizes the importance of continuing Professional and Personal Development in the field of Alternative and Integrative Health practices and that individuals in this field need to remain current on advances and trends in their fields and on how to deliver their service appropriately. IAACE encourages and supports its members to achieve their personal and professional development goals through a variety of programs and services. Members of IAACE are committed to actively improving themselves Professionally and Personally through participation in recognized activities that will strengthen and develop their knowledge, skills, attitudes and professionalism. Be kept aware of relevant events, information, advancements, and legislation in the field of alternative integrative health practitioners. Access a platform for to promote your IAACE related events, conferences, workshops, trainings, seminars, webinars etc which you are personally self-directing. Acquire discounted rates on IAACE sponsored events. Access internal IAACE sponsored workshops, seminars, trainings, webinars to members wanting to earn Professional and Personal Development points (credits). Attend networking opportunities with other members through forums and events sponsored by IAACE. Get Client Referrals for your Practice. Your Business Listing acts as one way for people to search for a Practitioner. We also receive Requests for Consultations and may refer clients to Association Members. 1. IAACE provides a place for You to List your services through a central directory that is publicly accessible so potential clients can connect with you to utilize your services. 2. IAACE provides a place for You to share Personal and Professional Development opportunities that will benefit other members and their growth. 3. Members are listed within our site directory and may carry our logo/seal as a committed member in good standing and be acknowledged as someone who actively seeks to enhance their skills and knowledge both professionally and personally. 4. By being a member of IAACE, you will enhance public confidence in the professional practices of individuals who use alternative, complementary, or unconventional medicine or therapies through a structured environment that applies high standards for our members to meet their professional and personal goals. 5. IAACE ensures that its members meet standards of learning, professional competence and professional conduct that are appropriate for the Integrative Health services they provide in accordance with the standards set as a member of the association. 6. 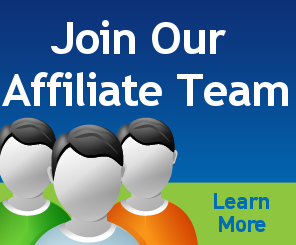 Opportunities exist for Members to grow within the ACE Community by sharing your leadership in the field along with their own niche area of services to assist in the growth of programs and growing ACE worldwide. The IAACE Partnership Program allows members to share their acquired skills and knowledge along with their current skill set (other modalities) to design products, trainings or other opportunities and highlight your expertise in your field with Advanced Clearing Energetics on a global scale. PLUS.... ACE Students/Practitioners who are IAACE Members are able to attend any of Richard's LIVE Trainings or Livestream Events for a "Refresher" Course without paying further Tuition Fees. A small cost may be required to cover the cost of room and refreshments. ACE Students and ACE Practitioners are able to join the Association for free. There are no yearly membership dues for ACE Practitioner Students/Practitioners. You must be a registered ACE Practitioner or ACE Student. If you registered for an online ACE Course, you can access the Association area using your log in. For those who attend a live ACE training (under any Qualified Trainer), you can request log in credentials to access the Association Area. CURRENT STUDENTS/PRACTITIONERS: Simply log in, go to Association Tab and Visit the Association Membership Area to complete the form to Add Your Business to our Directory and keep Your listing up to date. LIVE TRAINING STUDENTS: You will need to contact us and request log in credentials. We will need to know who your Trainer for the ACE Course is, your Training Dates and Location to verify your student/practitioner status with your Trainer. How can we offer free Student/ACE Practitioner Membership? YES, we have operating expenses and we can't operate for free, so we have put together a great opportunity for you as Student Members to assist in keeping Student memberships free by participating in mutually beneficial Partnership Program opportunity. This is a program that allows us to REALLY support your work with ACE and where we all win while we contribute to making integrative health practices grow and become more recognized around the world!